Revisiting a childhood memory is always risky. When I was little my family lived on the west coast of Scotland. 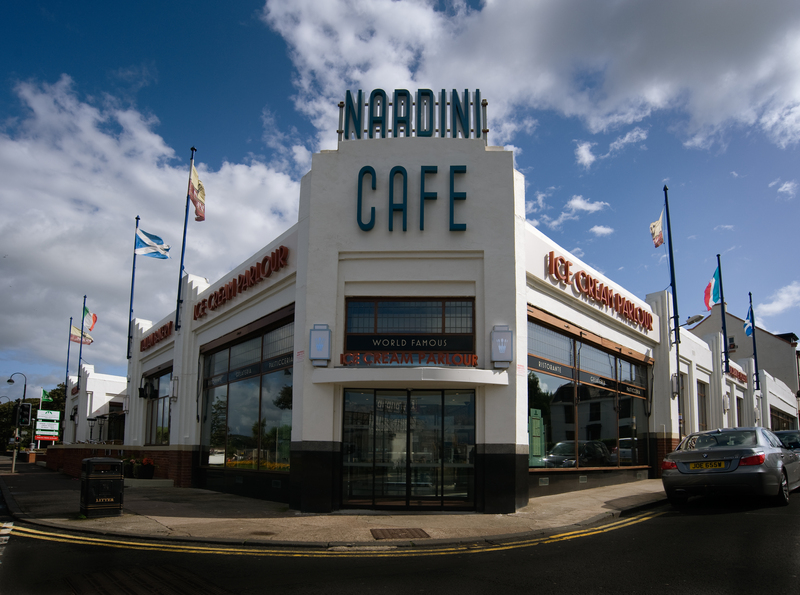 For treats we would go to Nardini’s an Italian cafe in Largs, the nearest seaside town. In my memory it was huge art deco place with amazing ice cream creations – knickerbocker glories, sundaes, that sort of thing, and waiters who talked to kids in way the British don’t. I got a chance to revisit Nardini’s after a trip to Ayr. The risk of disappointment was high: my early childhood was a long time ago. The region – Glasgow, once known as the Second City of the British Empire, suffered more than most from de-industrialisation. But Nardini’s is my earliest cafe memory, so I had to make the pilgrimage. It turns out there has recently been a multi-million pound refurbishment – words that strike fear into Cafes That Are Not Franchises because they usually spell the destruction of a charming venue. But in this case they have restored the cafe so faithfully that it is exactly as I remember it in the late 1960s, down to the split cane furniture. There’s 32 flavours of ice cream, fresh pastries and – something I don’t remember from my childhood – fish and chips. There can’t be many reasons to visit Largs unless you live in that part of Scotland – or you are a lover of the British seaside town. But we have no hesitation putting Nardini’s in the Cafes That Are Not Franchises top 10. That is one cool building!